Welcome home! This wonderfully maintained home has been meticulously kept by its original owners. The upgrades never end! Before you even glance at the home, you will notice the exceptionally maintained yard. The underground sprinkler system assures the upgraded Saint Augustine grass, flowers, and bushes, look great all year long. Focusing your attention on the actual home, you will see the beautiful neutral grays of the freshly painted exterior. Painted in Sept. 2018 using high-end Elastomeric paint, designed to expand and contract with the ever-fluctuating Florida climate. Also brand new is the architectural roof, installed in 2018, with a life expectancy of over 25 years. No expense was spared! 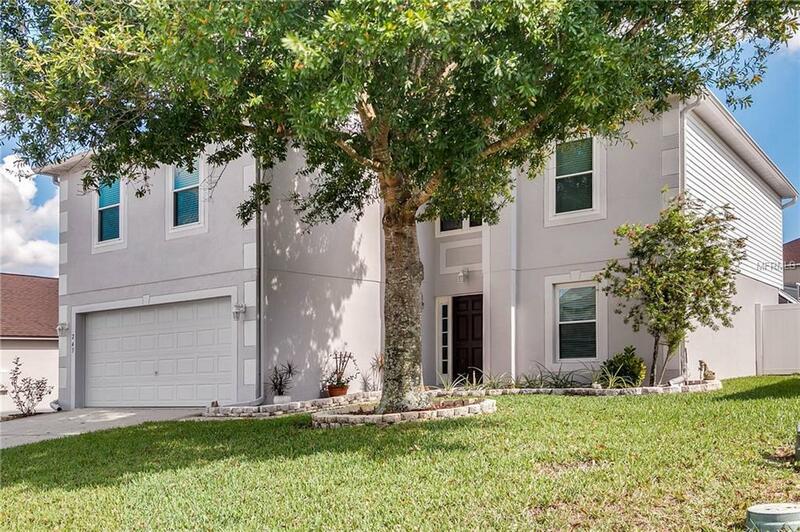 Entering the home through the brand new hurricane rated front door, or peering through the double pane hurricane rated windows, and past the expansive two-story entry, you will see the sliding doors leading to your screened in, salt water pool. Your own backyard oasis! Again the pride in ownership shines through, a new pool pump installed 2018, with a four-year protection plan. The upgrades go on and on, from the granite counter tops in the kitchen to the bathrooms. Master suite features his and hers walk-in closets, garden tub, separate shower, and water closet. Holly Hill Estates is perfectly situated with easy access to all major arteries. Just minutes from I4, US27, 429, and 17. With amazing sunset views, this is the perfect Florida home! Listing provided courtesy of Mba Realty Group, Inc.